CFO Business Resources gives small to medium sized organizations access to CFO level knowledge, expertise and services. Rather than incurring the cost of a full-time Chief Financial Officer, services are available on a project by project basis or on an as-needed basis. CFO Business Resources strives to develop a close relationship with each client through customized service and commitment to complete client satisfaction. The goal of CFO Business Resources is to become a valued and trusted business advisor to our clients. 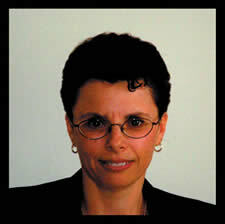 As founder of CFO Business Resources, Leslie Fox is an accomplished professional with over 30 years of experience. During her career, Leslie has effectively worked in a variety of industries, in all areas of Accounting and Finance. She has successfully designed and implemented accounting controls and systems for businesses ranging from $1 million in annual revenues to $10 million in annual revenues, in both the for-profit and non-profit sectors. Leslie received her BS from Empire State College and her MBA from St. Bonaventure University.